For me, Quiet was a revelation; for others, it is the start of a revolution. The success of this book is heartening, because it proves that there are a lot of people besides me who are interested in what it means to be an introvert in today’s world. One of Quiet‘s virtues is that it reaffirms the value of the introvert in a time when it is almost inexcusable not to constantly manifest extrovert behavior. What’s more, it shows that some of these prized extrovert qualities are actually the cause of some of our current economic and societal problems. It doesn’t knock extroverts (well, only off a pedestal), but it makes a great argument about the need for balance. It’s a great read for introverts and extroverts alike, but it’s especially helpful in teaching introverts to accept, and even prize, the qualities that they may have been criticized for in the past. The story of Offred, a woman who, even in name, is defined by men in her restrictive society, is harrowing and horrifying. It is bleak, it is infuriating, and, worst of all, it doesn’t feel that far out of the realm of possibility. I loved this book not because it was an easy read, but because it was an important one. Particularly in this past year, when woman’s bodies and rights were constantly a source of debate and government regulation, I found its message to be a powerful wakeup call. No student of literature should pass up the opportunity to read this clever, often hilarious, and very insightful coming-of-age story about one boy’s experience in a writing-obsessed prep school. 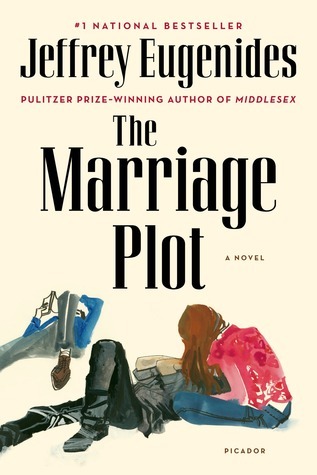 From its spot-on, uproarious portrayals of famous writers like Ayn Rand and Ernest Hemingway, to its nuanced understanding of everyday prep school life, this book is both fun and incredibly smart. As much as I enjoy YA books, I’ll admit that it’s sometimes difficult to find a character who feels 100% real to me. (Of course, the same can also be said for books written for adults.) What most impressed me about this novel, aside from its sheer uniqueness, was how believable Vera Dietz is as a character. 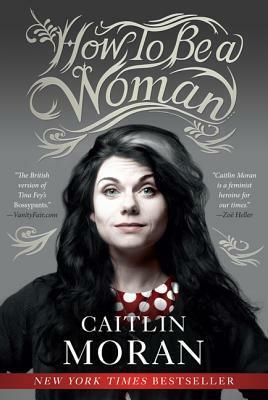 She is complex and conflicted, yet, in a genre currently over-saturated with dystopian fantasies, refreshingly ordinary. She is the kind of girl I would like to be friends with: though she is no damsel, she also is not fighting against the whole world. Hers is a quieter courage, but one that is immensely important. The title of this book is ironic, for we should all be paying attention to her. When a series is hyped as much as this one, it can be difficult to judge it solely on its own merits. 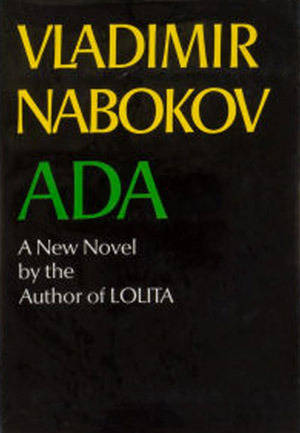 In fact, these are the types of books I often avoid, or at least put off reading, because it is almost impossible for me to determine how I actually feel about them. 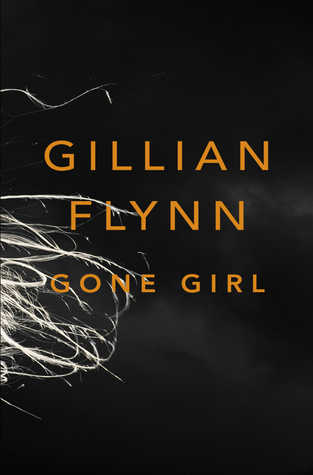 I read the first book of this trilogy accidentally; at least, I didn’t set out to read it, and I only started perusing it because my friend had a copy on her Kindle, which I was borrowing. But from the first few chapters I was hooked. A day or so later, I was looking for someone who could lend me the latter two books. And then I devoured those. What I liked about The Hunger Games isn’t easy for me to articulate because I have been bombarded with other people’s opinions as well: it’s sometimes difficult to separate out their feelings from my own. I found the story incredibly interesting, of course, and I loved Katniss both when she was strong and when she was in a weaker, but still totally believable, state. Perhaps what also appealed to me, though, was the fact that these books are so universally beloved, and thus something I can discuss with a wide variety of people. I think the greatest thing about the series is that it really is as good as everyone says it is. Have you ever read a book that made you nostalgic for a place you’ve never known? If so, then you have some idea of the effect When You Reach Me had on me. It is a book that is in some ways deeply nostalgic—for childhood, for innocence, and for a different New York City—but which is also quite timeless. It works beautifully just on this level, but it has the added bonus of being an intricately-plotted time travel story. From beginning to end it is flawless, wonderfully rendered for both children and adults. It can be hard to pick up a book knowing it will make you sad. No matter the accolades that have been heaped upon it, this type of book often requires a certain mindset. Between Shades of Gray is obviously no beach read, but it is exquisitely written, at once beautiful, heartrending and, most importantly, truthful. It tells a story that has too often been left out of history, of Lithuanian families forced by the Soviets to relocate to the treacherous conditions of Siberia. Despite the almost insurmountable odds, these people maintained their humanity and helped each other to survive. I was tremendously moved by this story, and glad that the experiences of these people are no longer shrouded in silence. Passing is weird and wonderful and not at all what I expected. On the surface, it is a story about race, particularly as it applies to three black women who are light-skinnned enough to “pass” for white. Yet, it is so much more complex and convoluted than that, at times feeling like a taut thriller that plays with readers’ expectations. The ending is shocking, and seemingly comes out of nowhere. Still, it is perfectly fitting for this bizarre tale of secrets, doppelgangers, and race betrayal. I was consistently challenged and impressed by this one. This book has it all: a remote village in the Amazon rainforest, hallucinogenic malaria pills, magic tree bark, a pregnant septuagenarian…. How could anyone resist? Better yet, it is brilliantly written and, despite its absurd premise, completely believable. It’s rare to find a book that is this much fun while still maintaining some semblance of “serious” writing. I look forward to reading more from Ann Patchett. One of the biggest debates regarding Holocaust literature is how to present the material, and whether such stories can be told at all. Maus is one of the most inventive takes on this that I have seen: it is a comic book, with cartoon mice and metafiction tendencies. As such, it may not solve any of these quandaries, but it does try to find a new way to present the story of a Holocaust survivor. What I liked about Maus was that it recognizes that not everything can be told in words, and that any version of a story will fall short of the real thing. It calls out its shortcomings, but still manages to be emotionally honest and thus effectively devastating. Although I don’t usually (read: never) participate in blog memes, I thought this topic seemed like a lot of fun. 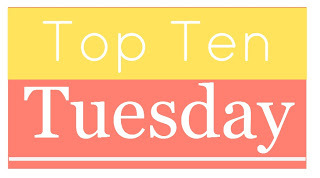 I really like the idea of Top Ten Tuesday, and I’m excited to check out the suggestions that others have generated for this week’s list. Maybe this will be a new thing for me! (Please do not check the status of past “new things for me,” including knitting, exercising, and cooking vegetables.) Regardless, please enjoy my painstakingly-crafted list, which I hope is sufficiently scary, atmospheric, and/or just plain weird. Keep in mind that I’m not exactly a horror connoisseur—the only Stephen King book I’ve read is the one he wrote about writing! Do you like witches, bog creatures, dead people and self-hating narrators? Striking, florid prose and magical scenarios? What about dreamy landscapes just on the edge of the Industrial Revolution? 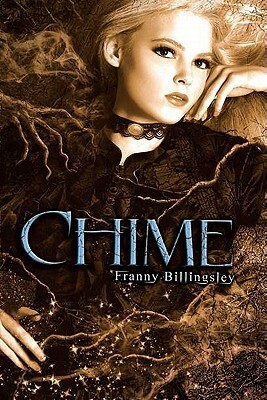 Chime is one of the most original YA books I have recently read, precisely because it combines all of those elements so weirdly and so wonderfully. It tells the story of a guilt-ridden young girl unable to come to terms with her magical powers, and the evil influences in her life who have poisoned her against her gifts. It’s a strange story, an acquired taste, but one that is wholly enchanting and memorable. Looking for a graphic novel that will haunt your dreams? 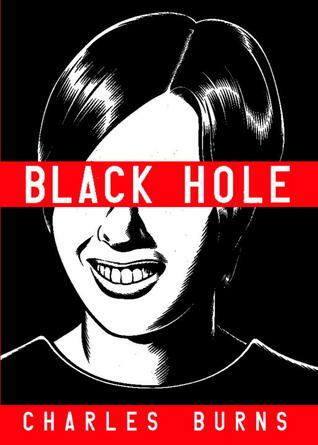 Look no further than Black Hole, a visually-stunning (and nightmare-inducing) story about a sexually transmitted disease that turns its victims into literal monsters. The artwork for this comic is amazing, evoking the classic horror movies you like to watch every Halloween, but the story itself is quite dark and bizarre. Characters develop lesions, boils, and even tails, becoming horrifying mutants who must live as outcasts. The whole comic is disturbing, to say the least, but it makes for an unforgettable experience. Old photographs can be spooky in general, but the pictures included in this YA book take that creepiness to a whole new level. 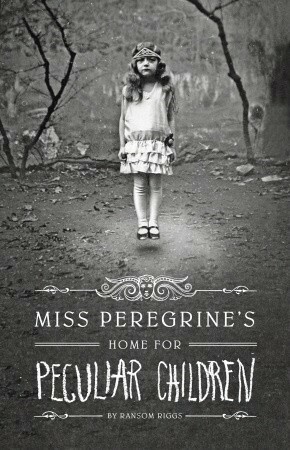 Combining found photographs of magical children who hover, harness balls of energy, or simply aren’t there at all, with a story about a modern day teenager who travels back to the 1940s to meet these strange beings, Miss Peregrine’s Home for Peculiar Children offers a reading experience unlike any other. It is eerie, mysterious, and a lot of fun—just the right mix of light-hearted and terrifying to get in the Halloween spirit. It’s easy to get lost in a good horror story, but there’s no reason why Halloween has to be all about fiction. In Spook, science writer (and skeptic) Mary Roach takes a look at the afterlife, from ghostly apparitions and séances to reincarnation and soul-weighing, to find out whether claims of such occurrences could be for real. Along the way, she enrolls in medium school, travels to India to interview the family of a supposedly reincarnated child, and voluntarily subjects herself to electromagnetic fields in an attempt to see whether they can cause her to perceive (or hallucinate) ghosts. The book is great fun, and an amazing journey, but it also has a lot of interesting insights into our belief—or our desire to believe—in the supernatural. There are a lot of Frankenstein stories out there, and relatively few of them have anything that touches upon the brilliance of the original. 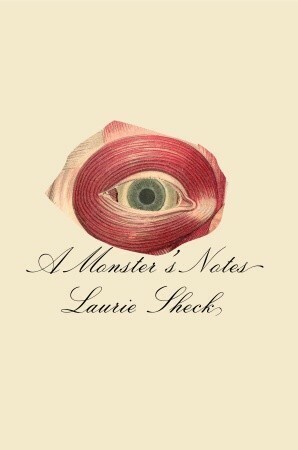 If you’ve read Mary Shelley’s Frankenstein, however, and are looking for a new take on the story, consider A Monster’s Notes by Laurie Sheck. Let me be upfront: this is certainly the most avant-garde book on the list. It has variously been described as being “bold,” “baroque,” and “oddly compelling.” (Yeah, oddly.) Nonetheless, it is one of the most moving and original works of contemporary literature I have recently read, and it is completely worth exploring if you are an adventurous reader. While you may not necessarily get scared, you will be enchanted; this is a poetic book that works a magic all its own. I’m just assuming you’ve already read Bram Stoker’s Dracula, but if you haven’t, start there first. Done yet? Then you’re ready for this academic Dracula story, which makes research a thrill (and will have you thinking twice about digging too deep into the life of Vlad the Impaler). 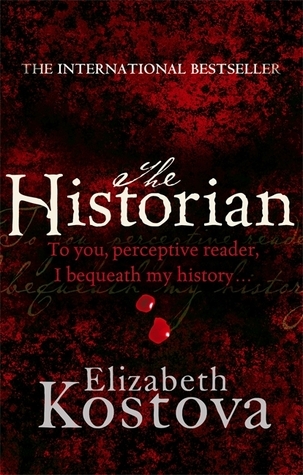 The Historian has all the elements of a good, creepy mystery: strange clues hidden in ancient books, secret tombs and old churches, and even an evil librarian! It’s the kind of book that will make you believe that Dracula is real, and still alive in the present day. Just try going to sleep with that worry weighing on you. Northanger Abbey is technically a gothic novel parody, I guess, but that doesn’t mean it’s lacking in atmosphere. 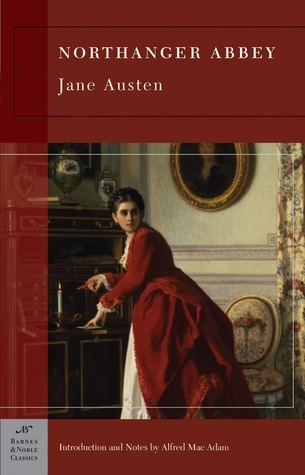 In satirizing popular books like Ann Radcliffe’s The Mysteries of Udolpho, Austen conjures up a pretty good haunted house story, even if you know all the spookiness will have a reasonable explanation. It’s a good choice for anyone who eschews horror, prefers the lighthearted side of Halloween, or has just joined a Jane Austen book club. If you’re really adventurous, try reading it alongside the Radcliffe book. 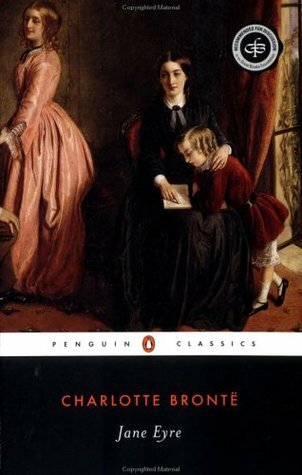 I would argue that Jane Eyre is the perfect book to read at any time of the year, but it does seem to be a particularly good choice for Halloween, thanks to its gothic DNA. Thornfield Hall might as well be a haunted house, for all its things that go bump in the night. Many of the situations are quite harrowing, and, of course, the atmosphere is sufficiently spooky. If you haven’t read it yet, it’s about time. And, actually, I think it might be time for me to revisit it. Okay, so there are shorter books to get you ready for Halloween. But this is one of my favorites, precisely because it is so sprawling, so imaginative, and, to put it simply, so magical. 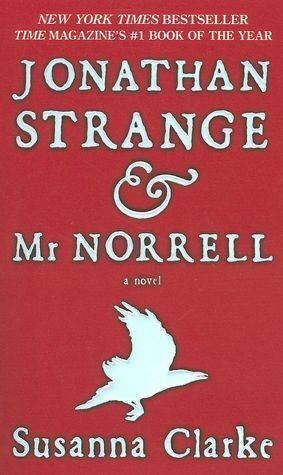 Jonathan Strange & Mr. Norrell is the story of two feuding magicians, but it also brings together a number of equally enchanting characters and subplots. 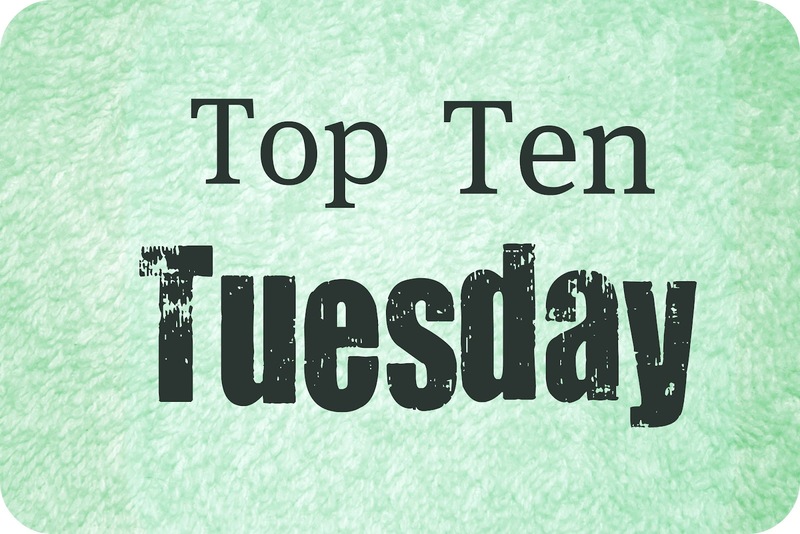 Villains like the gentleman with thistle-down hair are as memorable as the main protagonists themselves, and the numerous footnotes may just contain some of the best fairy tales I have ever read. Worth the time, if you have it; worth making time for, if you don’t. I’m guessing that if you’re not specifically into late eighteenth century literature, the gothic novel, or really, really weird literary curios, then you’ve never read this book. Probably you’ve never even heard of it. 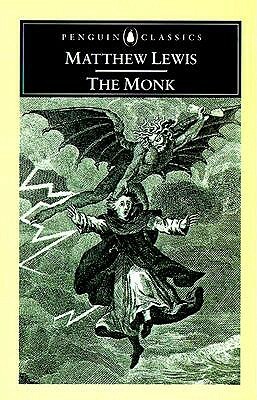 Well, The Monk defies any sort of tidy summarization, but suffice it to say that it takes every gothic trope popular in its day and magnifies it by a thousand. It features family secrets, a lusty monk, and, oh yeah, SATAN, who just shows up because…why not? It’s a wild ride, and one you won’t soon forget. Basically, this book is the Halloween spirit, and if you haven’t read it yet, you must. 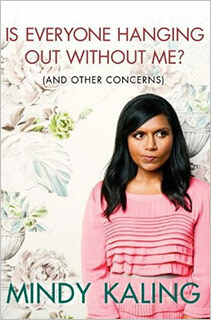 When I tell you I read Mindy Kaling’s book, Is Everyone Hanging Out Without Me?, in just two days, your first reaction may be, “Of course you did—you don’t have a job, a boyfriend, or a life.” Well, okay, yeah you’re right about the not having a job thing, and even though I would argue that having a life is subjective—and compared to someone in, say, solitary confinement or whatever, I do have a life—you’re probably right there, too. I actually do have a boyfriend, thank you very much, but based on the amount of time I spend in pajama pants, I can see how you would assume the contrary. But, when I make this claim, I am actually not giving further evidence on why I am a sad individual whom you should pity and maybe buy a cat for (do not ever buy me a cat); rather I am expressing how much I liked the book, and that I think you (if you have a soul, an appreciation for cupcakes and/or Hello Kitty, and a healthy sense of humor) would like it too. Is Everyone Hanging Out Without Me? begins as a memoir, detailing Kaling’s childhood, as well as her path to becoming a comedy writer and actor. It’s interesting stuff, especially for anyone aspiring to do what she does. Although I am already old and dead inside, I can imagine that teenagers with a penchant for comedy could really benefit from reading about how Kaling parlayed her interest into a career. As for me, I totally hate her: when she was my age, she was already writing for “The Office.” The memoir is, in some ways, the book’s strongest section since it is the most concrete and focused. Kaling is witty and engaging no matter what—and so breezily conversational that she feels like not just a friend but a best friend—but she starts to lose her through line when she begins discussing topics as varied as “Irish exits” (leaving a party without saying goodbye to anyone) and why men put their shoes on so slowly. By the end of the book, you will feel like you and Mindy Kaling, or M-Kal, as you will probably feel comfortable calling her, are old friends who can call one another up whenever and never have to worry about restraining orders. Just a kind reminder: you’re not. Still, I’d like to think that I do know Mindy Kaling a lot better after reading her book, and that if we did ever meet, our encounter would not end in bloodshed or tears. I hope you’ll feel the same. Is Everyone Hanging Out Without Me? is a great way to spend an afternoon or two, although it probably won’t last much longer than that once you get going. It’s hard to put down because doing so would be like hanging up prematurely on your best friend from college who you never see anymore. You’ll want to hear all about her life—who she’s dating, what embarrassing situation she got herself into this time—even if it takes you away from what you “should” be doing. Don’t fight it. You know your priorities. Is Everyone Hanging Out Without Me? is definitely worth the extra attention.